The Grand Chamber of the European Court of Human Rights (the “ECHR”) has issued, just days ago, a major decision that – at least at first blush – appears to have an extremely significant impact on the interpretation and application of the Hague Abduction Convention within Europe and may well lead to a major split between the way that Convention is interpreted and applied within Europe versus the rest of the world. The case is Neulinger & Shuruk v. Switzerland (Application no. 41615/07). 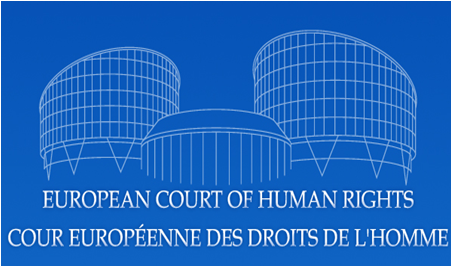 The ECHR has now ruled, in essence, that those provisions in the European Convention of Human Rights concerning the integrity of the family – and, in particular, Article 8 which gives everyone the right to respect for family life – trump the provisions of the Hague Abduction Convention. The European Court stated that it should not normally review whether a domestic court has correctly decided whether or not a parent who has abducted a child has established that returning the child to the habitual residence would create a grave risk of harm to the child within the meaning of Article 13 of the Hague Convention. However, it also ruled that it is competent to determine whether a domestic court, in applying and interpreting the Hague Convention, has “secured the guarantees set forth in Article 8 of the Convention, particularly taking into account the child's best interests.” It then found that there is a broad consensus in support of the idea that in all decisions concerning children, their best interests must be paramount. Applying those principles, the Court stated that it was required to consider the best interests of the child at the current time, rather than at the time of the abduction or the time of the Swiss courts’ return order. Since several years had been consumed by appeals the child had now been living for some years in Switzerland, had become well settled there and his father had since remarried in Israel and no longer seemed so interested in this child. Accordingly it was best not to send him back to the habitual residence from which he had previously been abducted. Thus, the European Court has subordinated Article 13(b) of the Hague Convention to Article 8 of the European Convention and has thereby, at least in this author’s initial reading of the opinion, undercuts decades of jurisprudence within Europe to the effect that the Hague Convention is intended to have children returned very promptly to their habitual residence except if one of the very narrow and limited exceptions is established. To a Hague Convention lawyer this ruling is shocking. Indeed, it now appears that courts within Europe may be required to conduct custody evaluations before internationally-abducted children are returned to their habitual residence. Since the rest of the world is not a party to the European Convention on Human Rights there is likely to be a sharp division between the way that European countries handle international abduction cases as compared to non-European countries. In a recent case the Ninth Circuit reiterated the fundamental principle that has long been applied in almost all Hague Abduction Convention countries that, “The Hague Convention seeks to deter parents from abducting their children across national borders by limiting the main incentive for international abduction-the forum shopping of custody disputes… A court that receives a petition under the Hague Convention may not resolve the question of who, as between the parents, is best suited to have custody of the child.. .With a few narrow exceptions, the court must return the abducted child to its country of habitual residence so that the courts of that country can determine custody.” Cuellar v. Joyce, 596 F.3d 505 (9th Cir. 2010). However, Europe has apparently now embarked on quite a different course.